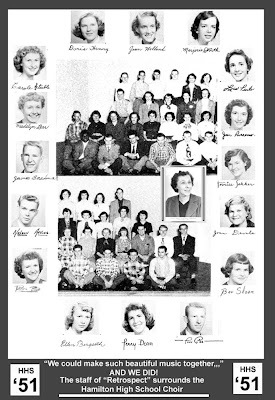 1951: The Staff of our yearbook, "Retrospect"
Ahh yes, there are a couple of young ladies who I loved from afar in the above vignette, including the lovely lady I have been married to these 53 going on 54 years. 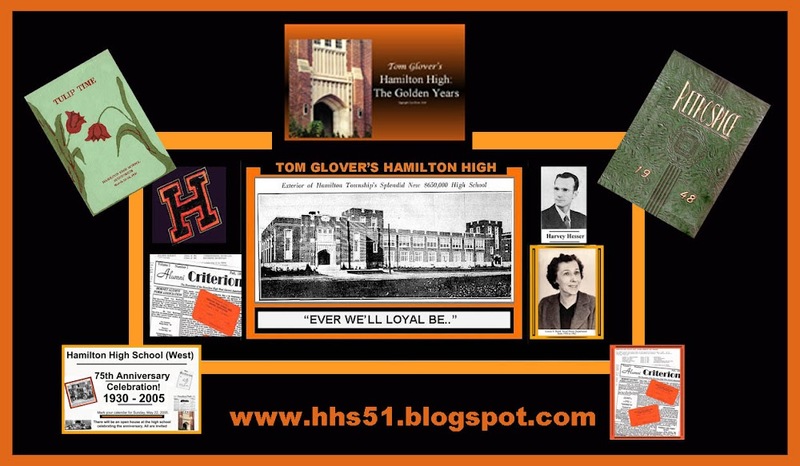 Every time I post a nostalgic graphic from our school years, I recall the words to that great song, "The Way We Were;" ".....can it be that life was all so simple then, or has time re-written every line..." Life was indeed less complicated back then. ABOUT THE GRAPHIC: I DID A BIT OF JUXTAPOSITIONING (IS THAT REALLY A WORD?) WITH GRAPHICS FROM OUR YEARBOOK. IN ORDER TO COMPRESS THE FILE AND MAKE IT MANAGEABLE, THERE WERE A FEW ADJUSTMENTS TO EACH PHOTO.